I live in this neighborhood, and even if I sometimes think it's a bit overrated, it attracts all sorts. I have always been more fond of the areas around Cobble Hill and Boreum Hill for some reason, even if Park Slope is a similar sort of place. Park Slope is certainly known for its beautiful brownstones, and I do recommend taking a stroll down President or Prospect Park West during Brooklyn's green months (or even during the fall), as the combination of architecture and greenery is rather stunning. Another thing Park Slope is known for is the strollers. I can't blame families for wanting to settle in such a beautiful neighborhood, but I can blame them for getting upset about the noise from the established bar scene (hey, you knew about all those bars on 5th and 7th Aves before you moved in!). It seems like Park Slope is often home to disputes between its older and younger generations. 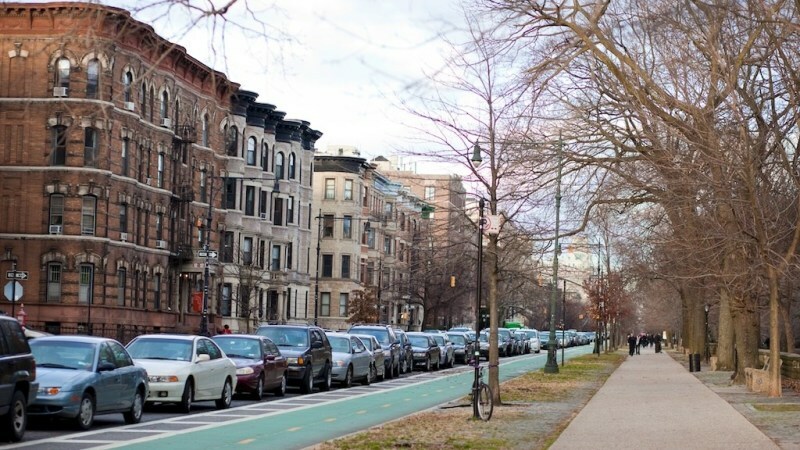 The latest is about a bike lane that was installed on Prospect Park West to keep cars from speeding down what used to be a three lane highway (it's now two lanes of car traffic, one parking lane, and a bike lane on the park side of the street). The bike lane's protesters are upset that bikers don't ever stop for pedestrians - but facts show that the bike lane has done much to slow down car traffic on the street. Anyway. Park Slope is full of restaurants (check out Union Street, 5th Ave, 7th Ave) and random shops (Beacon's Closet! ), and the neighborhood does draw an early evening crowd. My experience with the bar scene is that it is a little sparse (compared to such happening neighborhoods as Williamsburg), but that bartenders/bar owners get to know their neighbors - which is rarely a bad thing. Personally I think that South Slope is friendlier than Park Slope proper, but that's just me. "High on our list of Brooklyn Neighborhoods"
When we first started looking at Brooklyn neighborhoods, we figured that, especially with three kids, we were going to want to end up in Park Slope because of the schools and the sheer number of kids. 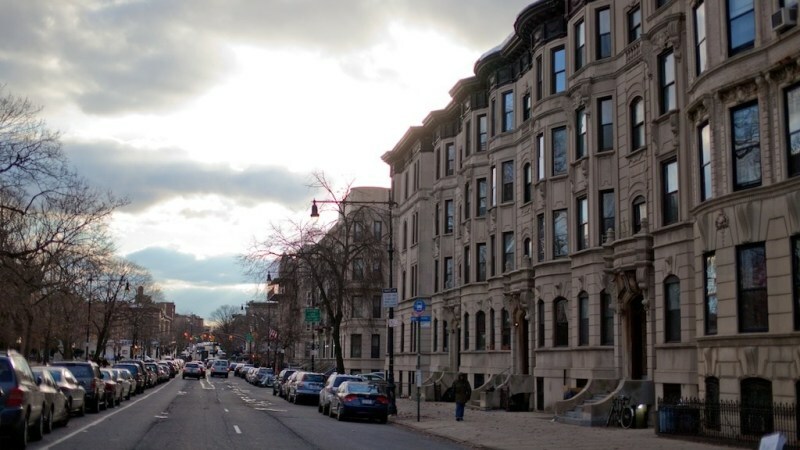 After spending a lot of time here and in surrounding neighborhoods, we still very much like Park Slope and would be happy to live there, but we ended up liking BoCoCa and Brooklyn Heights a lot more. The neighborhood certainly has a good selection of food and bars, but nowhere near as good as the Smith St/Court St area. The Slope food/bar scene is also unfortunately spread out (primarily on 5th Ave and 7th Ave). That could mean a lot of trudging up and down the hill too (which I took as a good thing, and my wife, who will ends up dealing with the small kids more often took more as a bad thing). The Park is an obvious huge plus, and the North Slope schools are particularly good. There's a good community feel, though it definitely skews yuppie. There's not quite enough subway access, especially for South Slope, which makes due with the F and G. Especially from center and south Slope, it's a bit farther to the city than I think most people would like. The housing stock is really nice when you're close to the park, but the farther west you go and the farther south you go, the worse it gets. there are too many houses with vinyl siding (many of which are hiding a decaying brick facade). And we looked at many houses in this neighborhood-- most of them had big issues with settlement-- typically significantly worse than what we saw in BoCoCa. You could tell that those non-prime houses were not considered anywhere near as prime when they were built. Fourth Avenue as the western border has a long way to go before it's going to have the same "nice" feel that the eastern part of Park Slope has. I really don't like being on 4th Ave at all, even on a short walk to the subway. Part of this is changing with the rezoning that has already happened on 4th ave and the forthcoming narrowing (well, they're going to go down to 2 lanes of traffic in each direction anyway, except for the northbound lanes from Union to Atlantic). The South Slope is cheaper, with a lot less commerce, and the housing stock is noticeably worse. But it was still friendly, and I suspect it's going to grow to be more like the North Slope very quickly-- we noticed lots of people getting priced out of the North Slope looking in the South Slope because, hey, the schools are still okay, and it's still Park Slope. For those looking to own, I suspect that neighborhood is one of the best balances in Brooklyn for those who want a decent family life but are still hoping to profit from a bit more gentrification (a wave which we've successfully ridden multiple times). Nonetheless, despite all the positives in Park Slope, we eventually ended up with a strong preference for BoCoCa. Our attention started out 80% in Park Slope and 20% everywhere else, and by the time we went into contract on a place, we were down to about 80% BoCoCa, 10% Park Slope and 10% everywhere else (while we liked Brooklyn Heights more than Park Slope, we quickly figured we wouldn't get enough for our money relative to BoCoCa, which we instantly liked better than the Heights). "A Small Piece Of Heaven"
Park Slope is a family neighborhood, near a park.Lots of kids live here, you see lots of kids walking to Prospect Park, or to school. The neighborhood has great subway connections to the city. When I lived here with my family before I moved to Gramercy, it was still a family community. Parents, make sure if you have kids to look in this area. Hire a nanny and take the subway to Long Island City or Manhattan for some nightlife. 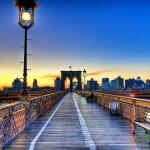 This is Brooklyn. Located in western Brooklyn, Park Slope is a neighborhood that combines historic charm with an eco-friendly - if perhaps gratingly so - character and neighborhood feel. There's much to be said about Park Slope. 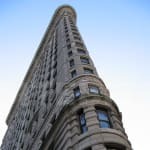 It is home, after all, to some of the city's great attractions: The Brooklyn Museum, The Brooklyn Botanical Garden, the Brooklyn Conservatiory, and the Brooklyn Category of Music, a list that speaks to the somewhat artistic character of the neighborhood. The streets are lined with attractive terraced houses and trees - not a skyscraper in sight. That said, however, the stereotype of obnoxious "Granola Moms" chiding their friends for using soy instead of almond-milk in their vegan cuisine is not too far off. For better or for worse, movements like the Park Slope Coop, an organic food volunteer-run program, have come to characterize Park Slope. If you're a red-meat-eating sports fan, you might want to choose another neighborhood. Park Slope is also known for its lesbian community - it's the women's answer to the West Village - and has a number of bars and clubs serving that particular clientele. 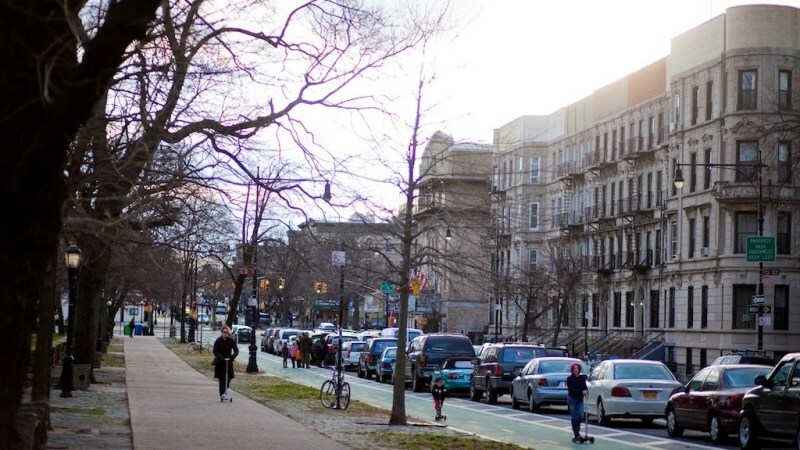 Almost everyone associates Park Slope with stroller traffic. There are A LOT of young families with little kids. 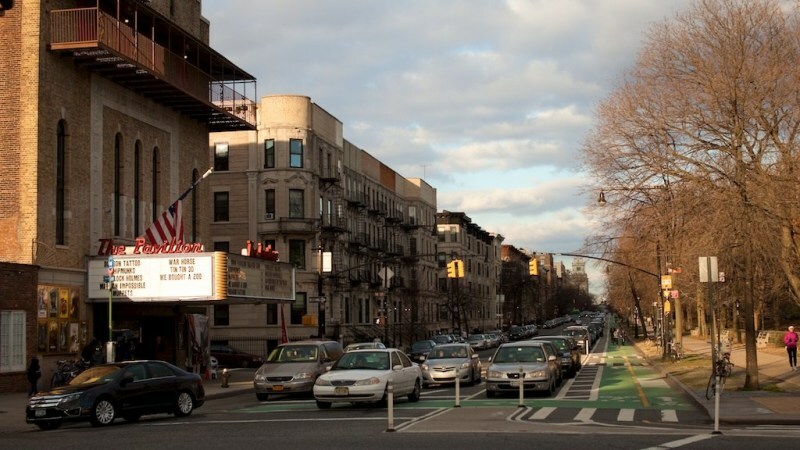 However, Park Slope is much more than just a town of new families. It's an eclectic mix of the old and new. You will see gorgeous brownstones and other examples of beautiful architecture. There are also funky bars, trendy shops, and nice restaurants. The housing choices are wonderful, albeit on the expensive side. There are the aforementioned brownstones, townhouses, and luxury apartments, including some with great views of the city. However, if you look carefully, you may be able to find some deals if you look farther from Flatbush Ave. 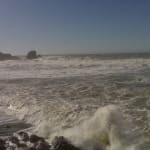 The population is diverse, the town is pretty safe, and the residents are very friendly. This is also a very eco- and health-conscious neighborhood. There are a lot of restaurants that serve dishes prepared with organic or locally sourced ingredients. There is also the Park Slope food cooperative. Park Slope also boasts a pretty convenient location; the subway ride to Manhattan takes about a half hour. A lot of residents relax at Prospect Park (which is right next to Park Slope) or they take their kids to the Botanical Gardens or the Brooklyn Museum. "An even better 5th Avenue!" Park Slope is really beautiful. There are brownstones and trees and an old timey feel. It's a great place for families which is probably why there's a stroller brigade in this neighborhood. I spent a lot of time here last spring and the area around 5th Avenue is so quaint and has a great energy. Plus, there is shopping that rivals the 5th Avenue in Manhattan! Unlike, Manhattan's 5th, however, all of the stores are boutiques. They are really specific and just darling. There are specialty paper shops like Scaredy Kat and upscale men's stores like Oak. But, the women's clothing selection is really spectacular. Diana Kane and Eidolon are great for vintage inspired wear, but my favorite is Goldy and Mac. Everything in that store is beautiful. All of these boutiques are within a few steps of each other and you are surrounded by old buildings and a lot of green. A shopping day on 5th Avenue Park Slope is really lovely. But, that's not all. There are a ton of restaurants and bars on 5th Ave as well which makes this street the most lively in Park Slope. There are always people milling about and the street has a great energy. Union Hall is probably the most renowned of the bars and it's definitely for a reason. There is always something fun going on in this bar and it is never empty. Because there's such an energy to this street, it's no wonder that many Manhattan Eateries have made their Brooklyn outposts on 5th Ave. Blue Ribbon and Mary's Fish Camp both have restaurants here. And, there is just about any kind of food lining this one avenue. The architecture is really beautiful too. There are a ton of brownstones and almost no high rises. Whenever you step off the train, you feel like you're in a part of New York that didn't age. It's like the Pleasantville part of New York and it's really gorgeous. The only things that can be not so hot about 5th Avenue is that it is a bit of a hike away from the city. So, if you live in Manhattan, it's a pain to get there. And, if you live around 5th Avenue, it's hard to motivate to go into the city so you can isolate yourself. Oh, and the strollers. It's not an exaggeration: they are everywhere. I am one of Park Slope's biggest enthusiasts, which is saying a lot for a neighborhood of which it is difficult to find anything bad to say. The nightlife scene here is amazing, but there are still places to live where the noise from the bars doesn't reach residents' bedrooms. The shopping in the area is also great - it's always nice to be able to shop for stylish clothes at affordable prices, something that is not always possible in boutique shops in the city. I've been in a few apartments in the area, however, and it seems that many of them are relatively small, but not unexpectedly so for city apartments. Larger spaces can probably be found, but it's likely you'd be incredibly lucky to find such a mythical place. 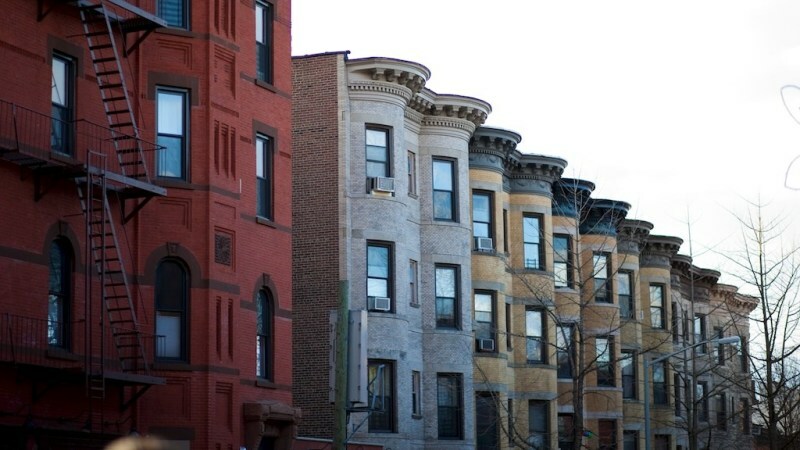 Park Slope, located in South Brooklyn is one of the most culturally vibrant and ethnically diverse neighborhoods of New York City. 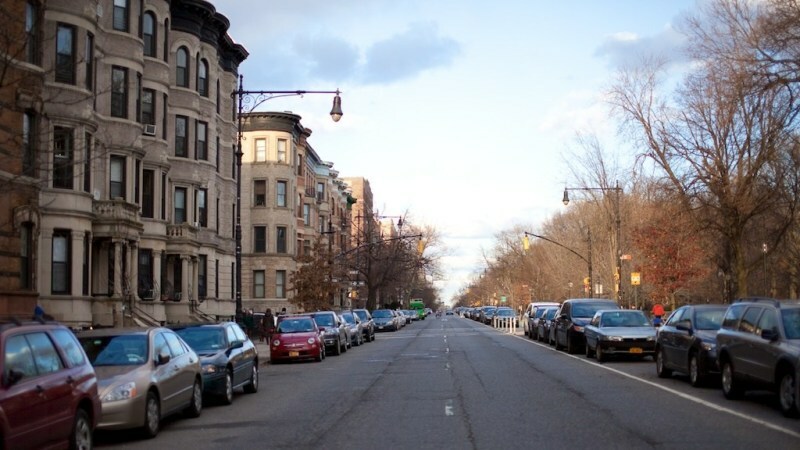 The borders of Park Slope are loosely defined as Prospect Park West, Fourth Avenue, Flatbush Avenue and the Prospect Expressway. 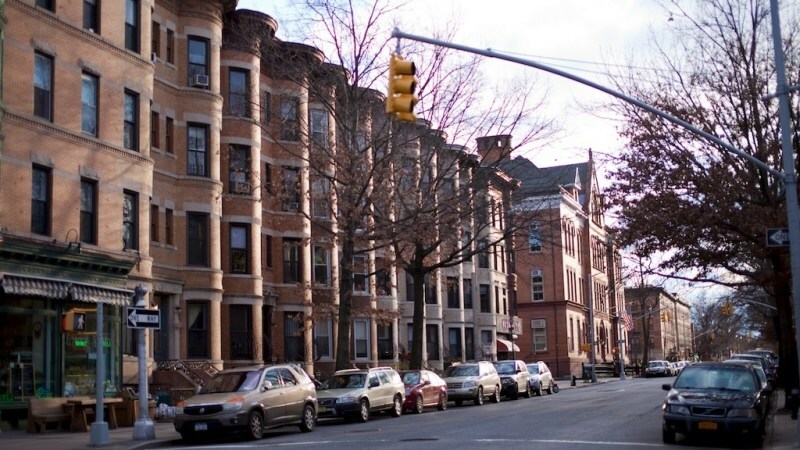 Park Slope( popularly referred to as ‘the Slope’) has been historically inhabited by the New York City Irish–American, Italian-American and Hispanic communities though today this charming neighborhood is much sought after by young families. 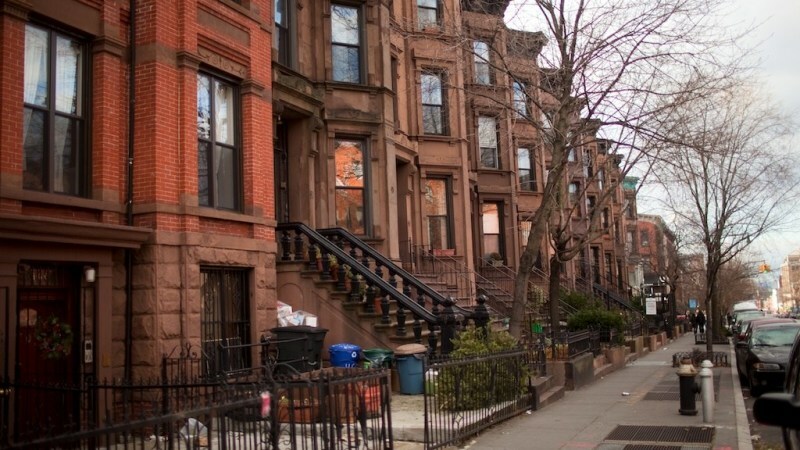 The real estate scenario in Park Slope is made up of rows of townhouses and brownstones which line the streets all the way up to Prospect Park West. Near the park however are some Victorian mansions which are now considered to be a part of the Park Slope historical district. The main commercial avenues of Park Slope are Fifth Avenue and Seventh Avenue, which are dotted several quirky restaurants, stores and myriad cafes. Trendy boutiques such as 4playbk, Brooklyn Industries, Bird, and Flirt add to the style quotient of the area. Since Park Slope is home to many young families and it caters to this demographic by hosting several children’s boutiques such as Lolli, Peek a boo Kids and Area kids. Other popular stores located here include Artesana, a home furnishing store located on 7th Avenue which offers goods from all over the world, Lion in the Sun, a designer paper store, and El Milagro a gift store which is a treasure trove of global goodies. The Park Slope Food Cooperative which is located on Union Street between 6th and & 7th Avenues is a membership co-op which makes organic food and other standard supermarket fare available to its 12000 members at a discount in exchange for membership dues and volunteer service. 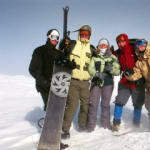 The Slope is equally renowned for many fantastic restaurants such as Al di la, Blue Ribbon which are located on 5th avenue. Magnolia and Barbes which are located on 6th avenue are known for their weekend brunch and live entertainment and Café Steinhof which is located on 7th avenue offers Austrian inspired fare and late night film screenings though these are but a few of the many excellent restaurants that are located in Park Slope. Park Slope is a family-centric neighborhood and offers great schooling opportunities at its many public, private and parochial schools like the P.S.154, P.S. 321, P.S. 39 and P.S. 230 and P.S. 282. 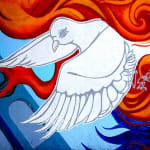 Some of the good private schools located here include the Brooklyn Free School and the Berkley Carroll School while Holy Name of Jesus and St Savior School are some of the better parochial schools. 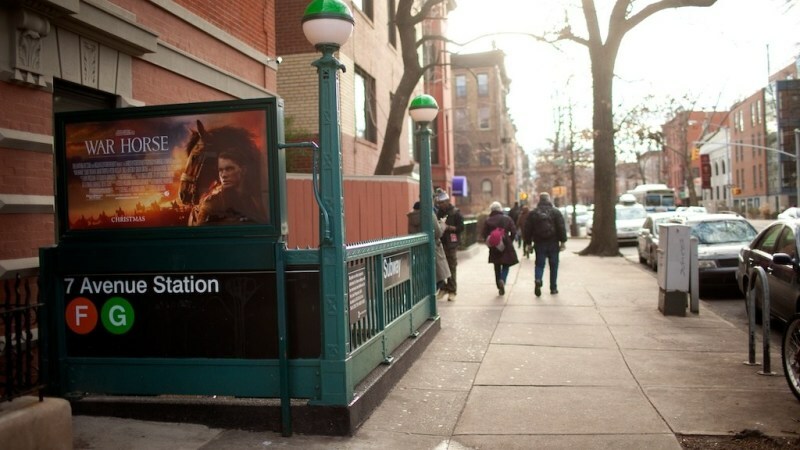 Park slope can be reached by the F train from Manhattan and Queens though the area is also served by the M,R, B and Q trains at its various stations. ChickenUnderwea Park Slope is also serviced by the 2/3 trains at Grand Army Plaza. uptowngirl Thanks for the addition. 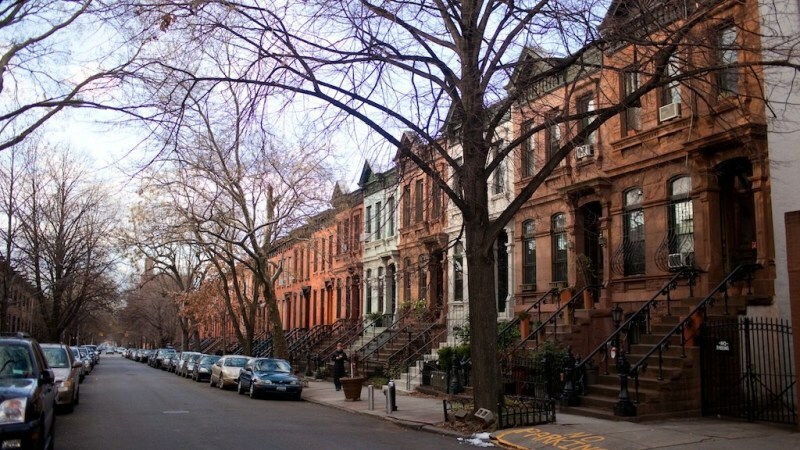 "One of the most beautiful neighborhoods in NYC"
Park Slope is one of the most sought after and beautiful neighborhoods in all of New York City. 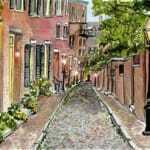 There are rows upon rows of brownstones among tree lined streets. French, Greek, and Renaissance Romanesque design flood this amazing neighborhood. 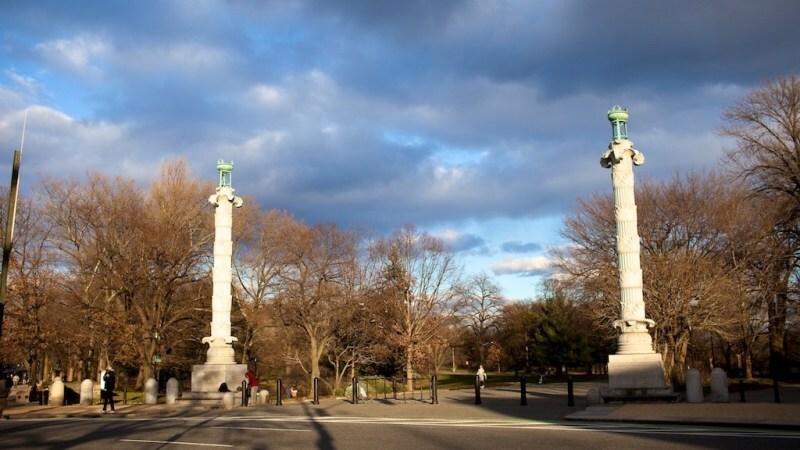 The area is close to Prospect Park, which makes Park Slope Brooklyn’s version of Central Park. The “Slope” is a small-town community with a an urban and cosmopolitan attitude, but a luxurious place to live and visit. Had some friends who lived here for several years, and it was always a joy to visit. There is a great mix of twenties and thirties crowd amidst the older “monied” genre. People are generally kind hearted but most take to themselves. If you can get “in” you will be in for life - sort of mafia in that respect. Hey, we are in Brooklyn, right? Fifth, Sixth, and Seventh Avenues are the Slope’s main streets with lots of shops, restaurants, and café’s. Here you will find a lot of middle class couples pushing the baby stroller up and down the sidewalk. The Park Slope’s Farmers’ Market is open every Sunday from early June to mid-November. FAO Schwarz opened a few years ago allowing the neighborhood to be even more served. Years ago the area was restaurant challenged, but those time have come to an end. 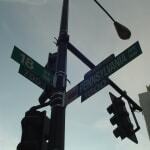 Today Sixth and Seventh Avenues provide a wide variety of pizzerias, coffee shops, and exceptional restaurants. Rose Water near Sixth Avenue serves an amazing brunch and Al Di La on Fifth Avenue provides its patrons with the finest in Northern Italian cuisine. The Slope is well provided in terms of schools. There are six elementary schools and a number of private schools, including Poly Prep Lower School and Berkeley Carroll School. Check out the Daily Slope website for community news or Park Slope Courier to deliver your newspaper online or on your steps. "Great access to the park and other plusses"
Park Slope is a super cheery neighborhood and for the most part, people have reason to be cheery. The neighborhood has tons of delicious restaurants, some great low key bars, and a very safe feel to it. Prospect Park is perhaps the neighborhood's best feature, with miles of trails, acres of greenspace, and free concerts all summer long. There are two drawbacks to Park Slope: no access to express train lines and the expensive cost of living relative to other Brooklyn neighborhoods. Restaurants, shops, and grocery stores tend to be quite overpriced, though the quality is good. 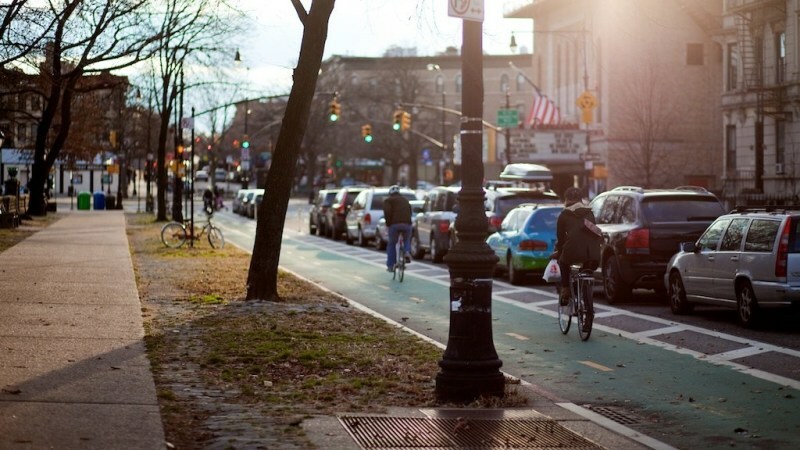 In general, however, Park Slope is a great place to be for a manageable approach to life in New York City. "A good place for young people"
Filled with old brownstones and apartments, Park Slope is a rather upscale neighborhood in Brooklyn that is good for younger singles and couples. Its close to all the hoopla going on over in Williamsburg but also has many bars and restaurants in its general area and vicinity. There are several Starbucks in the area. Beacon's Closet and Loom are two good places to eat and Blue Ribbon is a great restaurant. 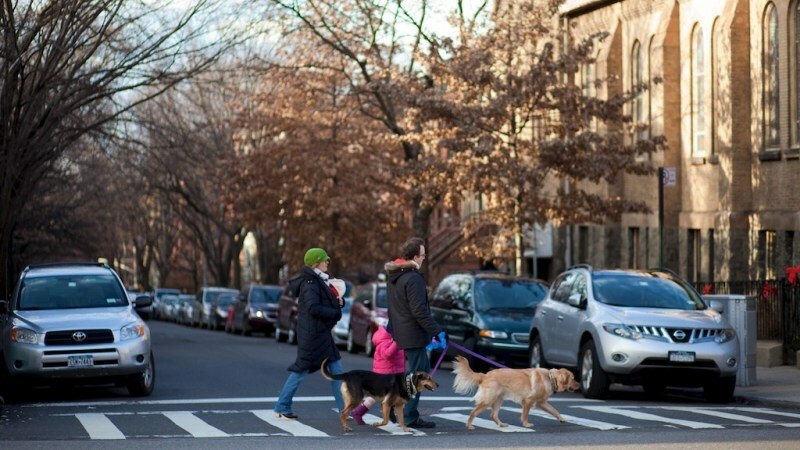 "Park Slope - a great neighborhood in Brooklyn to call home." 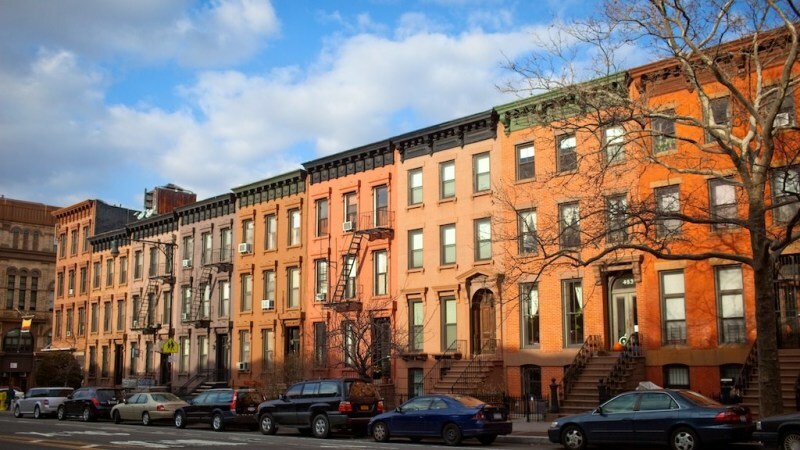 Located in beautiful downtown Brooklyn, Park Slope is the most popular destination for Manhattan ex-patriates and professionals new to the city seeking lower rents and more space. 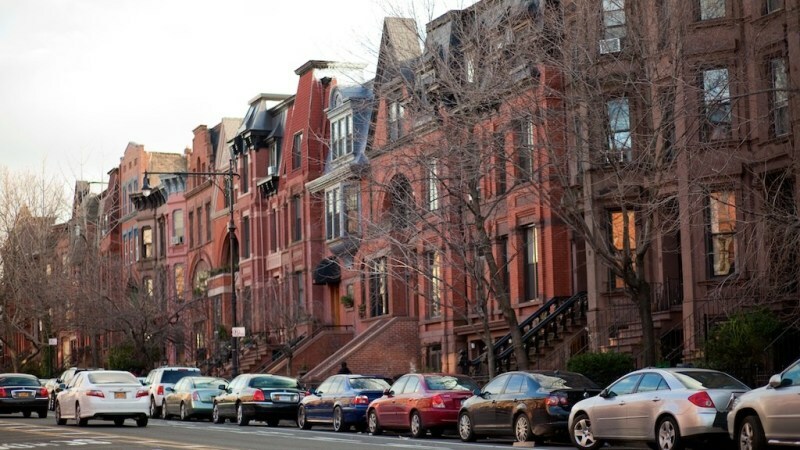 With a history of opulence in design and expansive floor plans, the brownstones in this neighborhood are spectacular. Due to this, real estate in Park Slope is expensive in comparison with other neighborhoods. 2 bedroom apartments typically sell for half a million dollars or more, while renting and subletting is still comparably expensive, beginning at around $1600 a month for one-bedroom units. 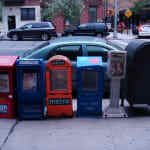 Park Slope is home to a diverse population, with an increasing 20 and 30 something group of professionals, artists, and “scene-sters.” This is a very hip neighborhood, and every corner is drenched in nouveau New York City style. 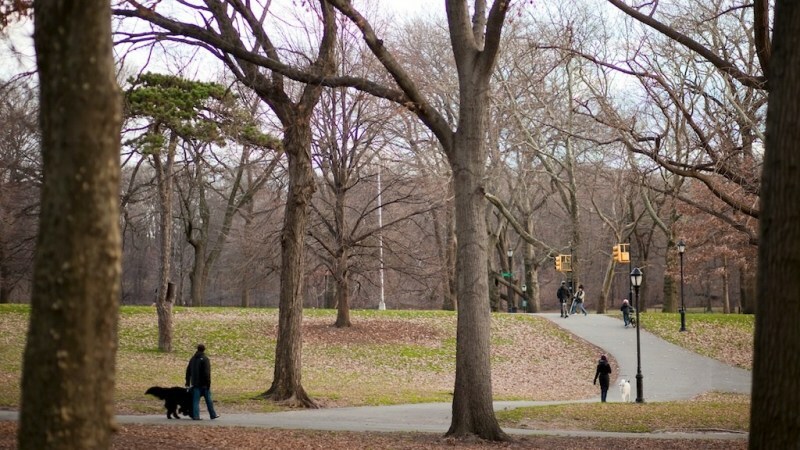 One of the main highlights of this neighborhood is the beautiful Prospect Park, known for its free live concerts during the summer months, as well as a vast array of artistic performances, ice skating rink, and beautiful scenery. This is the heartbeat of this neighborhood, and of downtown Brooklyn. Due to its youthful and bourgeois culture, Park Slope is drenched in entertainment options. Fine dining, bars, clubs, cafes, performance spaces for new artists, and a wide variety of art galleries are prime in this neighborhood. Often featured are Fairway Supermarket, Atlantic Terminal Mall, and the busy avenues of 5th and 7th Avenues. Transportation in Park Slope is a breeze with the 2, 3, 4, 5, B, D, F, M, N, R, and Q trains servicing the neighborhood, as well as several buses. Park Slope is also near the BQE (Brooklyn-Queens Expressway) making a commute into Manhattan very speedy. 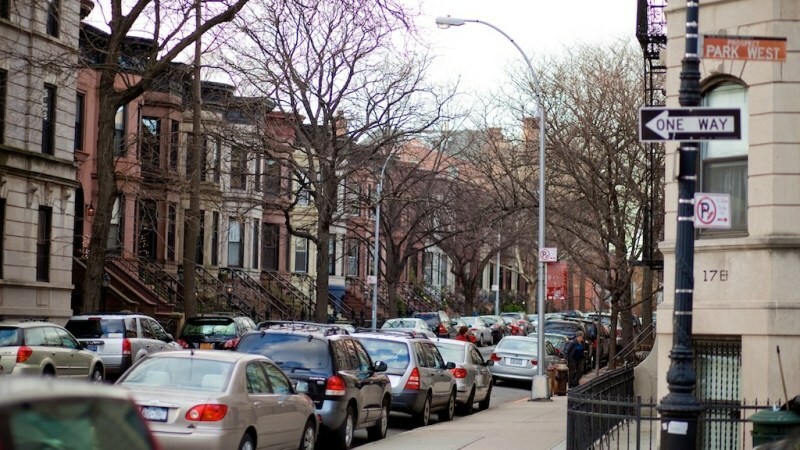 Park Slope is the ideal neighborhood to live in. It’s the best of both worlds— if the two worlds are Brooklyn and Manhattan! al di là - 248 Fifth Ave., at Carroll St.
Blue Ribbon - 280 Fifth Ave., between 1st and Garfield Sts. Loki Lounge - 304 Fifth Ave. at 2nd St.
babybird - 428 Seventh Ave. between 14th and 15th Sts. Beacon's Closet - 220 Fifth Ave. near Union St.
Loom - 115 Seventh Ave. near President St.
"Park Slope is great neighborhood, close to everything... but not that close"
Park Slope is a great place to live for young people who want to be close to the bars and parties that go on in Williamsburg, but at the same time don’t want to constantly be in the party (i.e, have to listen to screaming drunks tottering down the sidewalks every night). It’s a really quiet neighborhood, and the rents are relatively affordable for a young professional – and all of the apartments I’ve visited here have been nice and well kept by various landlords. I actually know a lot of people who won’t live in any other neighborhood. There are bars and places to eat around here too, though they are the trendy spots you’ll see in culture-commodity centers like Willliamsburg. Our friends that we visited lived off of Fifth Avenue in a small apartment. This was an awesome neighborhood. Many young families with a few eateries scattered through out. They told us that this neihgborhood was fairly new and very up and coming. Clean, safe, friendly and great for people of all ages.